Brilliant running defender Jack Lawler is making a rapid recovery from a badly broken leg and could return to the playing field for Morningside earlier than expected in 2010. 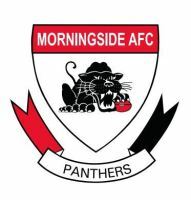 The silky-skilled left-footer, who narrowly missed a berth in the State team last season, broke his leg late in the year against Labrador and missed the Panthers’ blazing finals series that ended in the premiership win. “We have probably been over-cautious with Jack and we certainly won’t be rushing him, but we are hoping he can play in the earlier rounds than anticipated,” said Panthers club development manager Jack Barry. 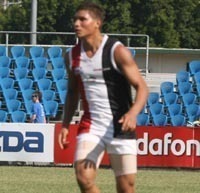 The Panthers are also optimistic about crack utility Matt Pardew playing senior football in 2010. The former Brisbane Lions rookie list player also suffered a horrific broken leg two seasons ago, and after a long recovery was plagued by hamstring problems last season. He did, however, enjoy a strong finals series that also resulted in a reserves premiership. “He was really enjoying his footy when he got back late last year and he can’t wait for the new season to start,” Barry said.